Travelling on the rail network in Wessex will be safer thanks to a number of highway improvements devised and approved by VEDA Associates on behalf of Network Rail. Engaging 16 local authorities between London and Torquay, VEDA engineers came up with a range of mitigations to safeguard the track in the event of a road vehicle incursion (RVI). VEDA engineers worked with local authority highway officials to identify locations that might be vulnerable to vehicles leaving the road. As part of the contract, VEDA carried out onsite assessments at locations with the highest scores in terms of potential risk. A number of strategies were then jointly agreed with the local authorities to mitigate the potential for danger. Designing solutions around topographical features such as the crests of rail track verges and forestry were among the challenges VEDA tackled. The Rail Safety and Standards Board documents cases where vehicles exited a highway and strayed onto a track due to a drivers’ loss of control. When this happens, there’s limited opportunity for the vehicle’s occupants to escape before a train comes. Critically, a vehicle in the path of an oncoming train could lead to derailment. VEDA engaged with local authorities on 119 sites at potential risk of RVI. In a number of cases local authority officials interacted with VEDA to identify sites and devise strategies. Where council officials were not made available, VEDA investigated sites and devised proposals singlehandedly. Establishing a scoring mechanism was the project’s greatest challenge due to subjectivity around matters like average driving speeds and whether an approach is dangerous. VEDA also found congestion concerns meant flow control measures like traffic lights were unpopular with local authorities. There was a preference for lineside mitigation such as barriers along the track or roadside box beams at RVI risk points. 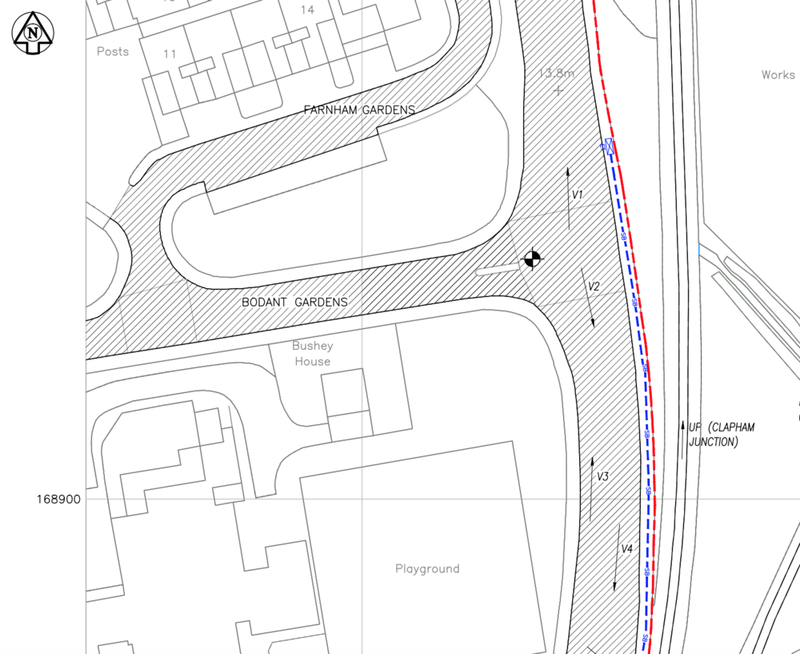 Both private and public road sites were assessed and VEDA also provided NR with budgets for the approved proposals. Desktop research on 400 sites also formed part of the project.